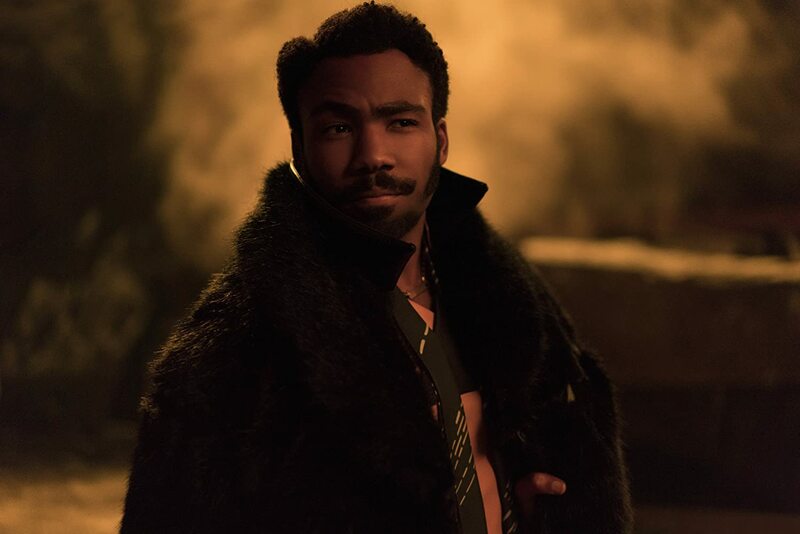 If you haven’t been up to date with your film news in the past week, chances are you won’t know that Lando Calrissian – the smooth-talking smuggler played by Donald Glover in Solo: A Star Wars Story – is pansexual. Bizarrely though, this is something you might not know even if you have seen the film. Though Kasdan’s comments are obviously well-intentioned, it’s the ominous ‘would have’ that has raised more than a few eyebrows. Despite a few flirty quips to protagonist Han Solo (Alden Ehrenreich) and his droid co-pilot L3-37 (voiced by Phoebe Waller-Bridge), it would be a stretch to declare Lando the Star Wars universe’s first LGBTQ character on the basis of what happens on screen. On the one hand, Kasdan’s comments are in line with the kind of extratextual character revisionism that sci-fi and fantasy fandoms expect and crave. Plenty of ‘canon’ Star Wars wisdom has been disclosed through various encyclopaedias and other merchandise. And besides, filmmakers love to drop these kind of character elaborations after the films themselves have been released. Ridley Scott has long been insisting that Blade Runner’s Rick Deckard is himself a replicant, and James Gunn has recently taken to tweeting devastating revelations about his Guardians of the Galaxy hero Groot. On the other hand, Kasdan’s post-production disclosure of Lando’s sexuality holds more weight than trivial fan entertainment. With questions of representation in film finally coming into wider focus, it’s disappointing to once again see unambiguous LGBTQ characters erased from film only for the filmmakers to clinch representation brownie points during the press tour. It’s the move J.K. Rowling made when she famously ‘revealed’ that Dumbledore was gay, despite having found no space in her seven Harry Potter books (and over a million words) to indicate this. Eleven years later, and essentially given a second shot at tangible LGBTQ representation with the Fantastic Beasts prequel series, director David Yates revealed that The Crimes of Grindelwald wouldn’t ‘explicitly’ reference the wizard’s sexuality – even though the plot revolves around Gellert Grindelwald, who Rowling has retrospectively decided Dumbledore was in love with. Last year saw the pattern of filmmakers failing to deliver on their promises of on-screen LGBTQ representation repeated again and again. 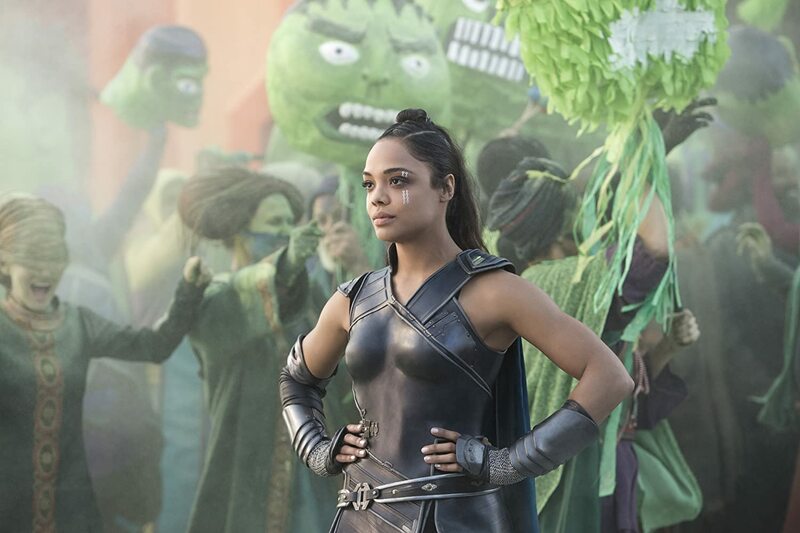 Tessa Thompson took to twitter to reveal that her Thor: Ragnarok character Valkyrie was bisexual after a scene showing this was cut from the finished film. The Power Rangers reboot was heralded as depicting cinema’s first openly gay superhero, but in the film itself this amounted to an unanswered question about ‘girlfriend problems’. And who could possibly forget the Beauty and the Beast remake, featuring a laughably overhyped sequence – a few easily missed seconds of two men dancing together – dubbed by director Bill Condon an ‘exclusively gay moment’. More fervent film fans might question whether this really matters in a year in which independent LGBTQ films including Call Me By Your Name, A Fantastic Woman, Princess Cyd, Professor Marston and the Wonder Women and The Wound received critical acclaim. But studio releases – i.e. the films that large audiences actually see – tell a very different story. The annual Studio Responsibility Index published by GLAAD revealed that just 14 of the 109 features released by the seven major Hollywood studios in 2017 contained characters identified as lesbian, gay, bisexual, transgender, and/or queer. At a miserable 12.8 per cent – including no titles featuring a trans character – this was the lowest representation of LGBTQ characters since the report began in 2012. Which brings us back to Solo. Produced by Lucasfilm, one of the most profitable subsidiaries owned by media colossus Disney, the Star Wars franchise epitomises the kind of studio blockbuster that GLAAD has shown to be lacking in LGBTQ representation. It may be set a long time ago in a galaxy far, far away, but as the Star Wars universe exponentially expands (multiple spin-off films and a live-action TV series are currently in development) the lack of LGBTQ characters is becoming increasingly frustrating – let alone improbable. There’s some hope for the future, with Ellis citing recent releases Annihilation, Blockers and Love, Simon as signs of ‘welcome progress’. And Star Wars: The Force Awakens director J.J. Abrams, who is also helming next year’s Episode IX of the franchise, has said that would be ‘insanely narrow-minded’ not to have a gay character in the Star Wars universe.